A lot of awful things can happen on the internet, but few are as terrible as landing on a website that automatically plays videos with sound. Thankfully, this is something Google is addressing in a future update to Chrome. You will be able to block sound on a per domain basis using the page info bubble. 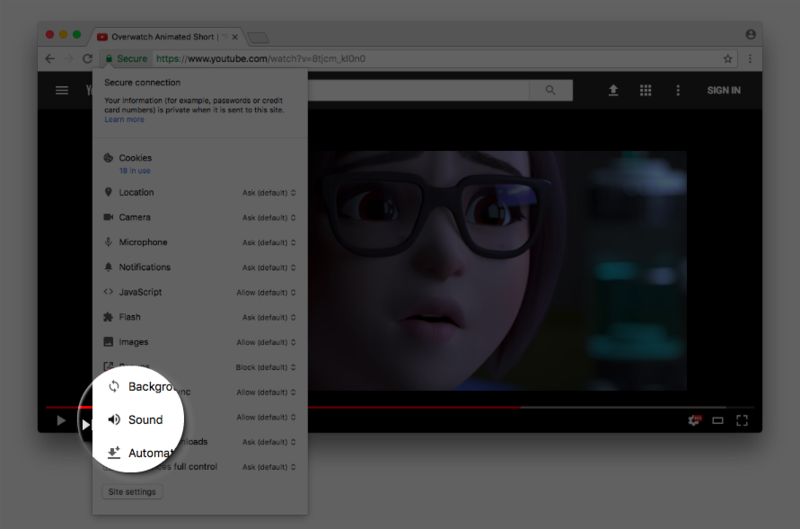 Sites on which you disable sound will remain that way until you turn them back on. This could be indispensable for pages you have to visit on occasion that load up videos. You can check this feature out now in the latest Canary build of Chrome on desktop. The feature is off by default, so you will have to run it with the --enable-features=SoundContentSetting switch.